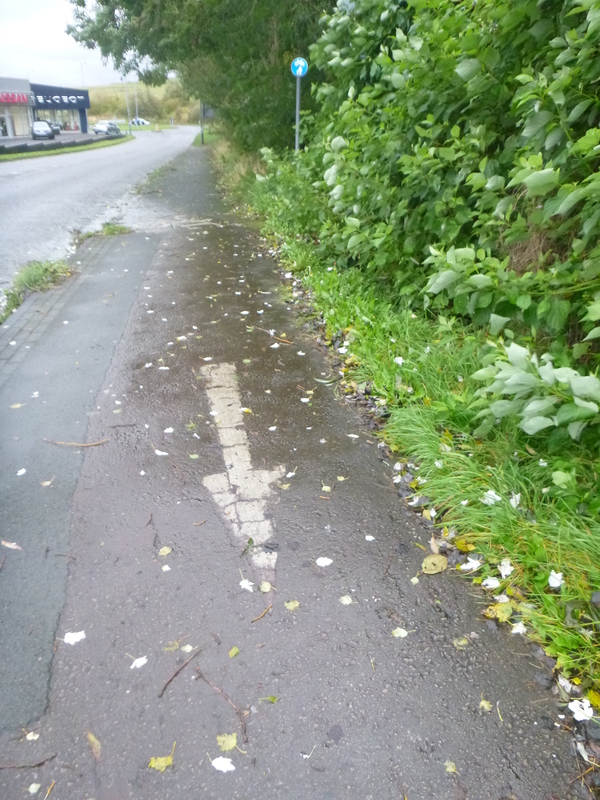 Here’s the second story from fieldwork conducted during the Understanding Walking and Cycling project. It’s a story demonstrating the significance of – and need for – a cycling system, in which the different aspects of everyday life complicit in someone choosing to drive or cycle all point in the cycling direction. I’ll return to the importance of seeing cycling systematically in my overall analysis of these case studies, at the end of the series. But it’s also a story which, like Rick’s (story 1), underlines the significance of quality cycling infrastructure within such a cycling system. You’ll see again, below, the lengths people are prepared to go to compensate for the failures of current cycling provision. I really appreciate the excellent comments made in the light of Rick’s story. It’d be great if we continue to deliberatively and collaboratively figure out what, collectively, these stories mean about cycling in contemporary Britain. I’m extremely happy to hear what you think, and what you think will inform what I think. Nadia is in her late twenties, married and with three small children. Her family lives in a comfortable home on a recently built housing estate, close both to the children’s school and child-minder, and to her husband Dom’s workplace. Most of the household’s journeys are made either on foot or by car. In bad weather, Nadia generally persists in making short trips with her children on foot; but Dom is more likely to bundle them into the car. Nadia loves cycling. “I must admit I’ve really got into the cycling bit.” However, there’s only one journey which she regularly makes by bike – to work. She’s a cycle commuter. After she’s dropped off her children, the youngest with the child-minder, the others at school, I ride her commuter journey with her. It’s a journey of around seven miles. Nadia always takes the same route. The first few miles are along a bypass connecting the village where she lives with the town where she works. 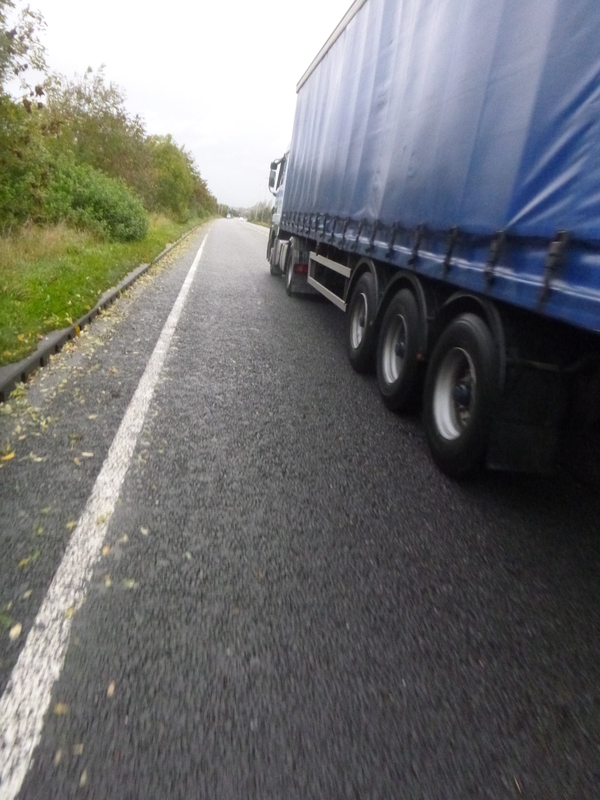 It’s an open, exposed stretch of road, which carries a lot of high-sided lorries, and which has a speed limit of 60 miles per hour. Soon after the bypass ends, Nadia joins an off-road shared-use path, which takes her another two miles. Leaving this, she rides the final mile to the office where she works as a secretary via a mix of deliberately designed (by the planning authorities) and cobbled together (by her) links. She rides a Halfords’ Carrera bike. It has no mudguards. Things haven’t always been like this. In fact, Nadia is relatively new to cycling. Like Rick (story 1), Nadia’s cycling was instigated by traffic congestion. “I started by accident actually. I don’t think it would ever have occurred to me to have gone on a bike. It just wouldn’t have been my first choice of transport at all. But a wagon went over in town, near the town centre, and I’d only just started work, because I’ve taken four years out you see with the children. So I’ve only been back at this job for a year. And this friend rang me and said ‘you’ve no chance of getting in this morning’. And I was meant to be meeting someone, to have an induction. So of course panic, panic, panic! I got the kids to school and I borrowed a bike, and it was a man’s bike, so it wasn’t ideal but it was the only way I could think of getting to work quickly. “And after I did it, number one it struck me how unfit I was and I’d always thought I was fairly fit but I wasn’t at all. And just, actually, how easy it was and I’d built it up to be this really big hard difficult thing that no way I could do, but then when I actually did it I thought ‘hey, I can do this!’. So it built up gradually. I do it every day – four times a week, because I work Monday to Thursday. So I do it every day now, but for the first two months I’d come in the car a little bit, go on the bike a little bit, and I’ve built up to doing it all the time. I can’t bear going in the car now! “If I have to go to another office, which is not often, if I have to go in the car, it’s awful. It’s just more hassle. And I can do it faster on the bike in the morning than I can in the car … it takes me fifteen minutes to do the bypass and fifteen minutes then along the cycle track, so half an hour. It’s got a lot shorter – it used to take me nearer an hour at the beginning, so it has got a lot quicker. It was a specific disruption to motoring-as-usual which got Nadia cycling. She’d also only recently started a new job, so had yet to entrench car driving as her habitual way of commuting. But encouragement to cycling was also provided by both her local authority and her new employer. Nadia regards her employer as supportive of cycling. “They’ve got changing facilities, showers, lockers. I know they’re trying to get more lockers in place as well, because we’ve been short of those”. She has a shower at the end of her outward journey, at work; she doesn’t think she’d cycle to work without that provision, as she wouldn’t want to sit feeling dirty all day. Nadia’s relatively recent cycling conversion means that both she and the people around her are still getting used to her new status. Nadia’s children are proud of her cycling; and Nadia sees her story as demonstrating how, if they want to, they too can achieve things. Dom’s reservations provide an intriguing and important detail in Nadia’s commuting story, one which I think strikes to the heart of UK cycling provision, or lack thereof. So let’s look at Nadia’s journey to work. We’ll start by getting on to the bypass. 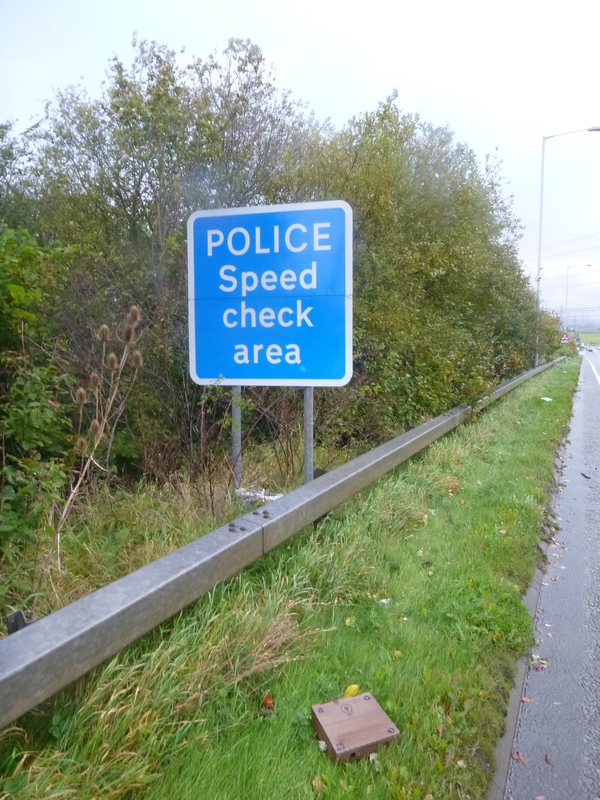 To start with, the speed limit is 50 miles per hour. It goes up to 60 once the built-up area is left behind. 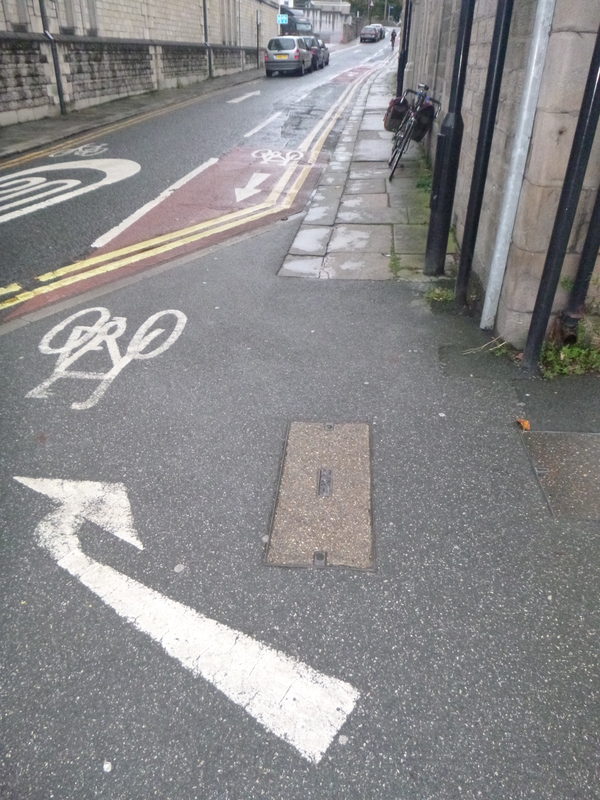 There’s no specific provision for cycling. Nadia is not alone in riding this road. It’s a key route linking two of the district’s biggest settlements. 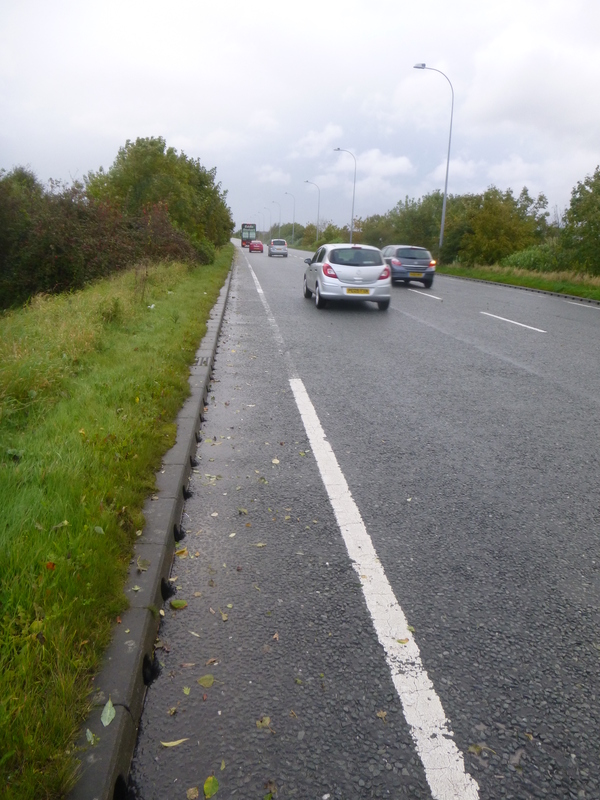 It’s also the kind of road which cycling advocates can easily overlook – the carriageway is wide, so that cars and trucks overtaking cyclists can generally leave a big gap. It might be easy, therefore, to think ‘there’s no big problem here; let’s concentrate elsewhere’. But the speed of that overtaking traffic, together with its proximity, is a massive barrier to making cycling ordinary. At the end of the bypass, Nadia ‘cobbles’ her way past two traffic islands, and onto some segregated provision which is shared with (few) pedestrians. And then goes ‘the wrong way’ for a short stretch. The last stretch of Nadia’s journey to work is quite ‘messy’, but by using various bits of (often very good) cycling infrastructure she manages to stay away from the busy town centre roads, and to wend her way through some back streets, across a car park and to her final destination. Among other things, Nadia’s story shows how the ‘decision’ to cycle is never simply a personal one; it is embedded in webs of social relations, and significant others form part of the ‘decision-making’ apparatus. Less prosaically, I think Nadia’s story shows how it’s less that people don’t cycle because they’re scared, and more that people don’t cycle because they’re loved. And until cycling advocates get their heads around that, they’ll continue to be by turns puzzled by and patronising towards many people’s reluctance to go by bike. This entry was posted on October 16, 2012 at 4:16 pm and is filed under CYCLING STRUGGLES. You can follow any responses to this entry through the RSS 2.0 feed. You can leave a response, or trackback from your own site. This was a great post. I’m so glad you’re doing this series because sharing people’s stories really shows the bike commute experience, as opposed to seeing it as a bunch of statistics (which I do think are important, but need to have a human side, too). While I’m not sure I agree w/ your last paragraph regarding people not cycling b/c they’re scared versus loved, I see what you mean about a loved one’s concern affecting whether they choose to ride or not. This post did a great job of capturing why Nadia’s commute transition occurred as well as the factors that can encourage commuting (like on-site showers at work, quiet paths, encouragement from others etc.). I recently saw an 18(?) year old, probably a student, riding a Boris bike along the pavement in Gower Street in London (area packed with students, a moderately busy but not frightening road to cycle along). He was obviously fit from the speed he could propel a Boris bike: a very competent bike handler from the way he swerved casually round obstacles (and a bit of a show off); considerate from the way he slowed to a crawl round pedestrians. Thanks Luke, very interesting observations, and hunch! Sue and I are at the point of ‘letting’ our son. Bobby, who is 11, start to ride independently. For a while, he’s ridden around the local neighbourhood on his BMX, but that’s residential roads on which cars cannot travel too fast. He’s also gone cycling with friends a couple of times, to a local beauty spot about 5 miles away, where they visit the cafe for crisps, biscuits and drink; that ride is mainly along a disused railway running parallel to the Lune estuary, but some road riding is required to access it. But as he’s just started secondary school, and is walking there with his friends, his independent mobility is on the rise and there’s no way we can (or should) stop it. But the independent cycling of school children in today’s prevailing traffic conditions is a thorny subject, eh? But the idea of someone who I love so deeply riding independently is a curious one. I know what local roads are like; I know how local drivers behave; I want to instil in Bobby all the strategies and techniques which I use, to stay as safe as I possibly can, but I don’t want to stress him out with the task of cycling (and make it sound too difficult, when I know he has the competence to do it), and I don’t want to disenchant his world (by making out drivers – even a tiny percentage of them – to be intent on doing him harm). Of course, it shouldn’t have to be like this. Bobby should be able to ride around Lancaster, with Sue and I secure in the knowledge that i) the travelling environment has been designed to make cycling straightforward and safe; ii) other road users will be travelling slowly and carefully enough to cause him no danger. But we know this is not the case; UK government continues to put all the pressure, stress and effort on individual families such as my own to ‘get cycling’, instead of taking that effort at a collective level, to make cycling good for all. This ‘individualisation’ of cycling so badly needs challenging. I’ll be interested to see what happens to us, over the next few years. The ‘easiest’ and ‘safest’ and ‘most sensible’ thing would be to get a car, so we can chauffeur our children around during their teenage years, as their ‘radii of activity’ grows. I hope we’ll hold out against that, but I’ve no doubt we’ll encounter dilemmas in the process .. Interesting as always. Particularly interesting to see how much the workplace shower is valued, I’d always considered it a bit of a red herring. Where I work it is generally used by a few enthusiastic sport-cyclists who ride the 30 miles to work a couple of times a year, and the blokes who go running at lunch time. This takes me right back to my excitement at reading lots of ethnographic sociology (mainly in the field of education long, long ago). Much more recently I have been provoked and upset by quite a lot of what I would call “positivist” amateur research that goes out looking for “reasons” and “motivation” in relation to cycling/not cycling by gathering answers to questionnaires. Questionnaires have their place, but their place is not in answering “why” questions – especially when the questions themselves use the word “why?”, followed by a choice of prepared alternatives. I remember Becker’s classic paper on “Becoming a marijuana user”, in which he spells out the process of gradually developing a “vocabulary of motive” that grows within the predominantly social context of using marijuana. Cycling, here, seems to have similar characteristics. Reasons for becoming a cyclist and the awareness of contexts where cycling will or won’t work develop through experience of cycling, not in its simple antecedents. There was an event that marked the beginning of her cycling story but that does not explain why or how she became a cyclist. Most regular cyclists, I would guess, can construct plausible and insightful autobiographies of their cycling identities. The implication of this line of thinking is that any crude attempt to list inhibitors and attribute motives to whole chunks of the population is just that: crude. A much richer understanding, of the type offered in your story, should lead to wiser decisions about building better infrastructure. At the very least, they would give pause to well-meaning planners who would put all their faith in a currently approved procedure. I have been thinking about this for a few weeks now – specifically in relation to the apparently anarchic qualities of cycling in Bristol where I live. None of the odd behaviours can be “understood” simply by watching, counting, or asking predetermined questions with boxes to tick. Each eccentricity has its own place in a whole life of experience and priorities. Not all of it makes any sense at all and there might be no “reason” at all. As Luke says, “he was scared” is a pretty wild guess, and might or might not be part of a “vocabulary of motive” at all. Thanks so much for this Sam. I am especially chuffed that these stories remind you of Howard Becker’s work. I of course have my sociological ‘heroes’ and Becker is one of them. Qualitative sociology has so much to offer our understandings of how people assemble their everyday lives; and cycling is of course a key feature of many people’s everyday lives (cycling as activity), as well as a key means by which people’s lives cohere (cycling as enabling other activity). As you and MG both say, quantitative research has played, and can play, a key role in aiding our understanding of cycling; but for me – as I think for you, and for Becker – stories matter, massively. Super stuff. 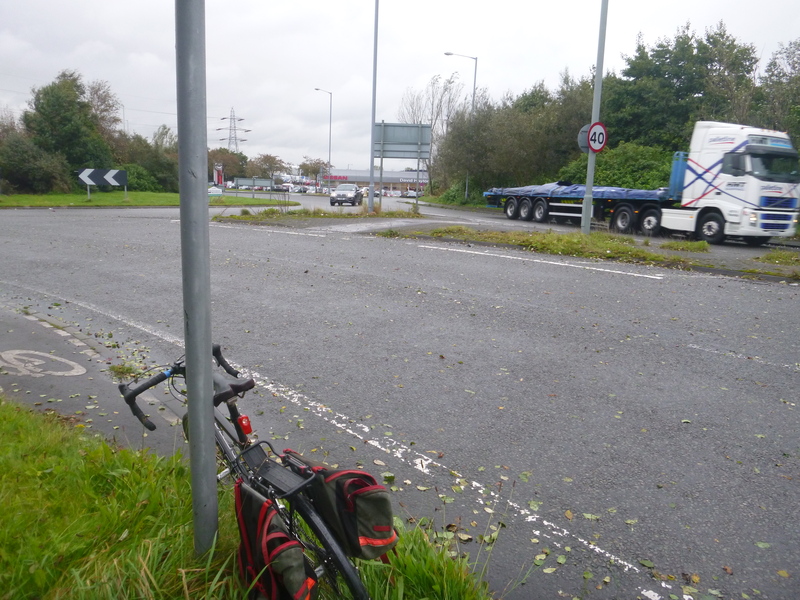 I most liked the attitude of her employers to cyclists – simple pragmatism. 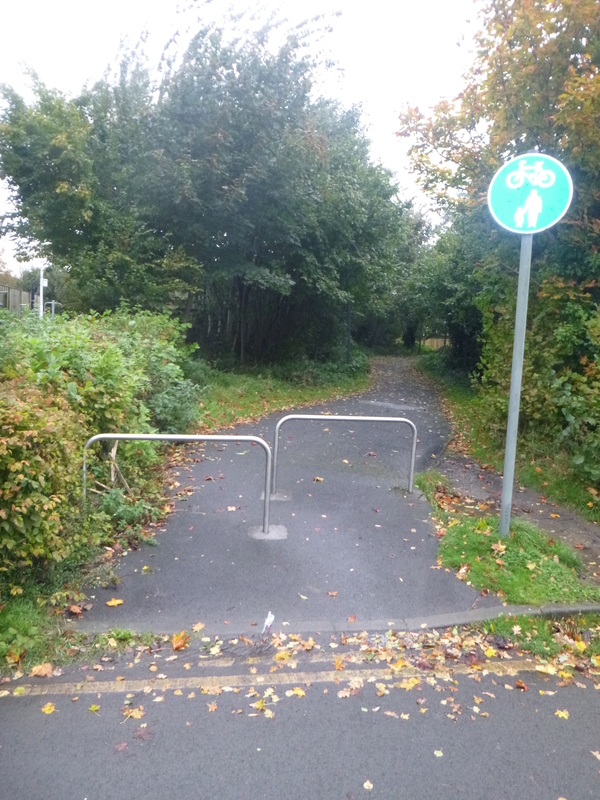 Then there was the idea of park and cycle – not heard that one before. It’s pure genius: someone needs to gve it a go. Otherwise, at the risk of just paraphrasing you, it’s kind of revealing that all her acquaintances and her husband voice concerns for her safety in one way or another, even though she is a seasoned cyclist. 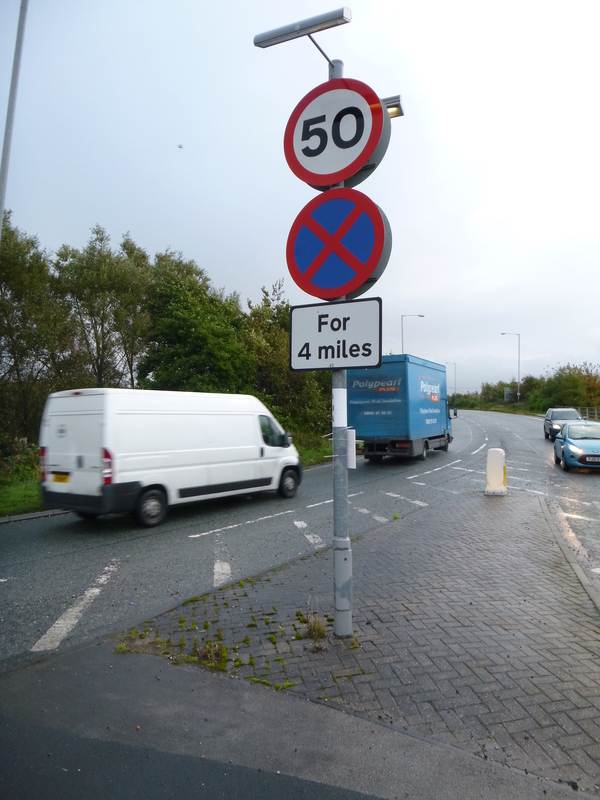 It implies that drivers know implicitly or explicitly that UK driving standards overall are inadequate. I would imagine that the descriptions of the journey along the by-pass would do nothing to persuade them that they are wrong to be concerned. On the principle that some (and almost by definition the most dangerous) drivers and cyclists will be always be impervious to all the education and training in the universe and continue to drive or cycle badly, it’s blindingly obvious that better infrastructure is required to take cycling in the UK out of the dark ages. As you said in your last post – let’s aim to produce cycling! Looking forward to the next one. 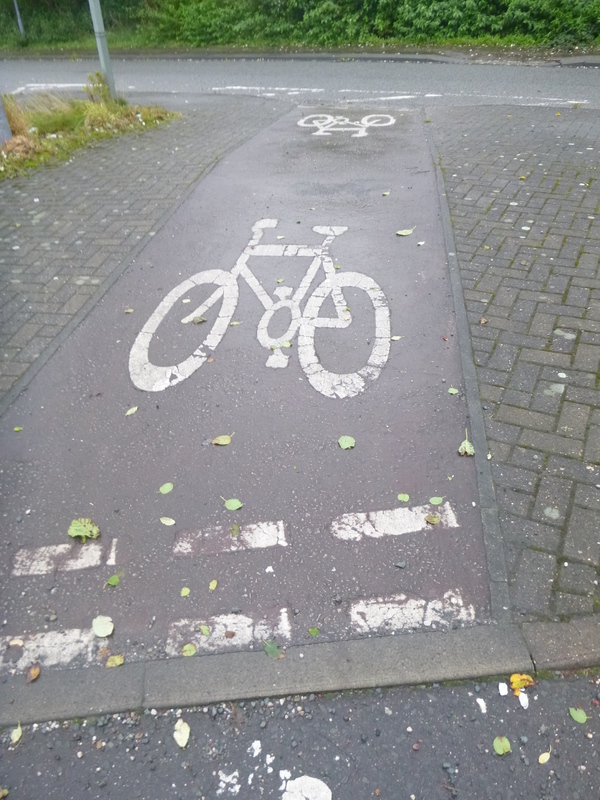 This is a classic example of UK cycling. Someone starts using a bicycle for transport because they’re pretty-much forced to, they discover the many benefits, and, sometimes, they decide to keep cycling despite the many obstacles and the extremely frightening environment. Other people think they’re mad, or have a death-wish, or both. No-one even considers following Nadia in switching from car to bike, however much she evangelises. Nadia is clearly “a cyclist”, with all the connotations that involves. 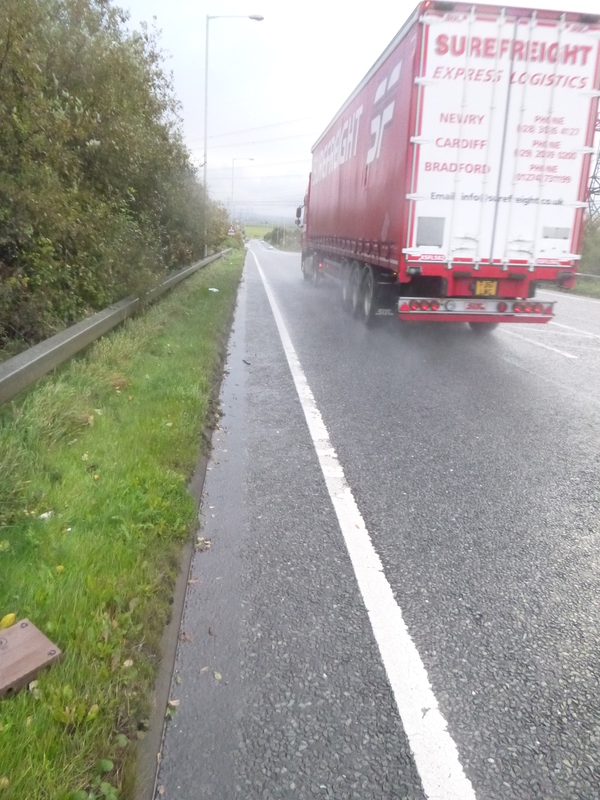 Now imagine the situation if the bypass had a decent facility for people on bicycles to use, separated from the motor traffic. Nadia would enjoy riding along it, viewing the greenery, and Dom could stop worrying about her being killed. 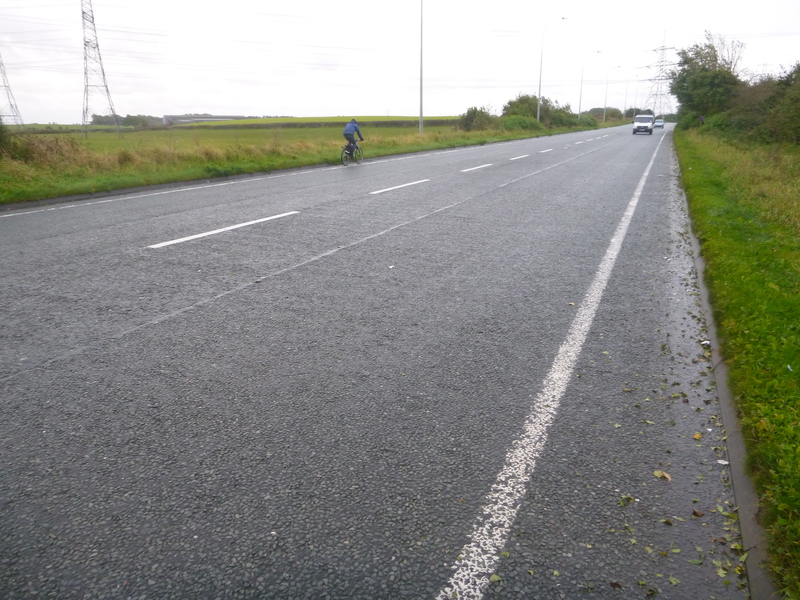 Other people would see that cycling here was safe and not frightening, and perhaps more people would decide that the benefits of cycling made it the most sensible mode of transport for journeys like this. Instead of seeing Nadia as being mad, they’d think that what she was doing was perfectly sensible. People would consider cycling to work like Nadia does. Nadia is no longer a “cyclist”, she’s just an ordinary person who uses a bicycle for transport. Exactly Fonant, exactly! It’s so easy isn’t it? Is the problem, then, that enough of us don’t want it? Why is that? Thanks for summarising so beautifully! Again very interesting – three quick comments. First, one aspect of Nadia’s experience struck a very loud chord with me. Even a quotidian commute, half of it along a nasty-looking and scary road, was a source of real and immediate physical pleasure and, for heavens sake, joy. Second, I couldn’t help but notice that, on the face of it, Nadia’s experience supports your previous opinions before the understanding walking and cycling project – she learned to cycle on a difficult road and found it doable. Yes, it is possible for ‘ordinary’ people to do this. But also, (a) it shouldn’t have to be like this (b) the people who will do this are exceptions (c) it might take only one really bad experience to stop them – and constantly being told how dangerous something is does tend to grind you down. Third, like Chestercycling, I was surprised by her comments about showers. I still think they are a marginal factor though – but add up all the other ‘marginal factors’ and they do amount to something. I feel truly honoured to have so many people making such thoughtful and intelligent comments on my posts; thank you. Another excellent blog post. The part where Nadia wishes the local council could organise a Park and Ride and the comments about infrastructure made me think that people might be interested in a campaign going on near Oxford – https://sites.google.com/site/westoxfordcyclepath/home – where a group are working to raise money for a cycle path to be built beside a horrendously busy stretch of what is ‘classified’ as a B road. In a way it is depressing to see the lengths groups have to go to to raise awareness and money for feasibility studies but of course, local councils are so cash-strapped that it always ends up being something ‘they would like to support’ but can’t. It is staggering to think that just a short stretch is going to cost £1,000,000 and a Park and Ride would similarly cost more than anyone is willing to spend at the moment. The only solution has to be to keep up the pressure on central government to push through funding for cycling. The thing about showers irritates me a bit because underneath it is an assumption that a) you will always get sweaty when you cycle, b) that sweat is the same as dirt and you will smell (fresh sweat doesn’t usually smell) and c) it makes cycling sound a right hassle. I used to do a long commute to an office where I did have to change in the toilets before going to my desk. I used to take some wet wipes for underarm and of course, a change of clothes. That was enough extra hassle for me, the idea of having to arrive at work early enough to shower AND change is crazy and unfortunately the sort of thing that will put women off along with the implied ‘problems’ around sweat and smelling. In countries like Holland, people cycle in normal clothes and an average commute of around 5 miles shouldn’t leave anyone sweating. So great that the company was supportive in this way but offering cycle parking and training and a bike buying scheme are of more use I would say. There are far too many deaths of cyclists on British roads and they always get reported in gruesome ways and so often, reports suggest that somehow the cyclist was at fault, or partially at fault. If we had a situation, as elsewhere in Europe, where the motorist is considered to be the guilty party unless proved otherwise where collisions occur, then that would, at a stroke, change motorist behaviour. Thanks very much Anna, and for including details of the Oxford campaign – I’ve just signed the petition; good luck with it! Part of the problem is undoubtedly economic, isn’t it? But I think a far, far bigger problem is political/ideological; i.e. it’s not about lack of resources (including money), but rather about the distribution of those resources. In the same way that ‘we’ (by which I mean the UK Government, but in our name) spend billions on Trident whilst ruthlessly cutting spending on health, education and welfare, ‘we’ continue to spend billions on carbon-based transport infrastructure (so promoting carbon-based transport) whilst almost completely ignoring the two carbon-free modes of mobility by which almost everyone is able to move around, walking and cycling (so ensuring their continued marginality). There are some warped priorities out there – some people, I’m afraid, want to recruit cycling to them (“cycling is good for the economy”; “cycling makes us more efficient workers”); it’s great that cycling is – (adding pessimistically) in however small a way, for however short a time – currently ‘on the up’, but I think the bigger (and harder, and more inherently prone to unintended consequences) task is to work to make cycling ‘on the up in good ways’. All I’m saying, maybe (? ), is I don’t think we should be satisfied with any response of the ‘we’re living in hard times; there’s simply not enough money for cycling’ type. Evidence shows there’s more than enough money for some things, but less so for others. Yes, we want loads more money for cycling; but even better if that means taking money from another pot, e.g. for big road building schemes (and/or insert your own ‘favourite’ ecologically and socially destructive behemoth)! No. Being afraid for a loved one’s safety is not ‘love’. It’s fear. And it’s fear of a fantasy – the fantasy that cycling is dangerous. Compared to car travel, studies show cycling is safer. 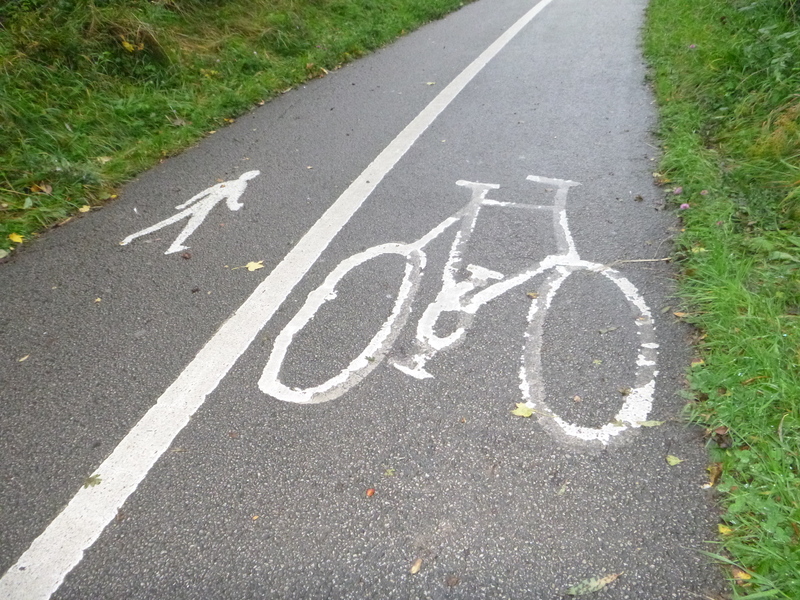 Of course it’s safest if we ride properly – in a prominent position the lane. By the look of the photos, Nadia rides in the gutter, on the shoulder, and in sub-par bike lanes, all of which make side swipes and intersection collisions so much more likely. Thank you for sharing this insight. I’m from across the Channel, and these roads are unbelievable for me. I wouldn’t have the guts to ride there (and here I ride a “dangerous” recumbent). Total respect for Nadia! The last paragraph in the article really stopped me in my tracks. Even if people dispute it, I see that as a very valid point I’ve never heard expressed before. Thanks for these stories and your points. An alternative analysis of the ‘don’t do it, it’s too dangerous’ phenomenon is that it’s people projecting their anxiety about cycling onto others. As the personal, social, global value of cycling becomes more manifest many people – who previously never, ever thought about cycling may have to confront the terrifying prospect of cycle-travel. They need to maintain it’s ‘otherness’ – ‘people like me don’t/can’t do that’ – as a defense against the encroaching ‘madness’. When someone they have always considered to be sane, normal, just like them, begins riding they feel the tide of bicycle-madness lapping at their toes. The fear may be for themselves – ‘oh my god will I have to do it now?’ – as much as for the object of their advice. Working with new riders, who never learned to float a two-wheeler in childhood, in Inner North-East London, where conditions for cycling are much more beneficial, I used to hear this kind of advice reported a lot. In this area over the last ten years cycling has become – to some extent – normalised, aspirational, the default non-walking mode in some demographics, and is now undertaken by categories of people who you never used to see on a bike. Coincident with this, the phenomenon of pessimistic advice is now reported much less frequently. Thanks Patrick. I agree with you – I say something very similar in an article I wrote a few years back, ‘Fear of Cycling’ (you can read it via this blog, if you’re interested). A benefit of this kind of analysis is that it allows us to see potential ‘problems’ as, in actual fact, signs of progress. So for example, the recent rise in incidents of violence against cyclists (this is anecdotal, and based purely on my daily reading of Road CC) might suggest that these bullies are feeling threatened by cycling’s inexorable rise. I have talked about this as projection, but I’m sure there must be a psychological theory which sees the kind of fear you’re describing as one stage in a process – perhaps anxiety and fear over the prospect of cycling is a necessary prerequisite to ‘biting the bullet’ and giving it a go. (Perhaps akin to the kind of adrenaline-fueled anxiety I feel at the start of a big bike ride or race?) This would seem to fit your observations, that such ‘panic’ subsides as cycling becomes more normalised, wouldn’t it? Thanks for your contributions – much appreciated! The bike boom in London is very specific to Inner and Central London, Hackney has become the best place in Britain to ride a bike for historic, geographical and political reasons. It’s easy to make a case that Outer London is (one of?) the worst places in Britain to ride a bike. The conjunction of these extremes creates revolutionary conditions along the jagged border. That’s a REALLY interesting insight Patrick – I’d like to learn more about that. Are there any signs of unrest? Do you think there are specific things which could be done to mobilise those urban cyclists who are riding through the contrasts? What chance, do you think, of the ‘ripple effect’ in improved cycling conditions, from the centre to the suburbs, which David Dansky has talked about? Don’t feel obliged to answer! But fascinating stuff – thanks. I’ve just started reading this blog fully and so my comment is much later than the others here – I’m reading backwards through Dave’s stories! I’ve really enjoyed them and hearing the voice of the cyclist directly quoted is fascinating. Nadine’s story made me think about other people’s reactions to my recent uptake of cycle commuting, which is in a rural area to a station from which I take a train to London. I’m a fairly active and reasonably fit 49-year old, and while I look younger than I am (sorry, you’ll have to take that on trust! ), my knees know the truth. Cycling has been brilliant for me health-wise and for my mind and brain, and I know my rural-based friends can see that, but they are all universally amused and horrified by my cycling. I’ve had women friends arriving home on the same train in the evening try to talk me out of cycling home. “I can get your bike in the car – or just leave it here and I’ll take you home – it’s dark – there’s a bit of rain starting – I can’t believe you’re going to ride it….”. The roads I cycle on are not particularly busy or dangerous, though some are very dark at night, but I find people can scarcely believe my sheer heroism in braving them. They find it hard to imagine that I enjoy the trip. I guess they are mostly women “of a certain age”, and some of them own bikes but don’t seem to use them (like me before the 2012 Tour de France…). One friend I met at the grocer’s and offered to carry my veggies home in her car so I wouldn’t have to have them on my bike – she couldn’t believe it when they all fitted neatly into the box I had strapped to the rack. To be honest I think the men in the village think it’s a bit hilarious when I turn up to the pub in my red “Water off a duck’s back” coat and helmet. But then they’re all older than me and I think they think I’m still a kid. They do just assume I’m risking my life. I tell them I’m saving £27.50 per week parking fees, which impresses. So maybe a lot of people’s reaction to a woman commuting by bike is due to them simply not realising how…. *possible* it is? And btw I find that once you’ve got used to how long it takes and are not checking your watch to make sure you’re not missing your train, you don’t get sweaty. You just leave enough time and go at a reasonable pace. Thanks Dave for all your very considered in interesting work. Hi Rosalind, and thank you, for sharing your story, which is uplifting and inspiring, and gives hope that people’s lives can and do change for the better through cycling, and cycling becomes that little bit more accessible to others as a result. Without I hope sounding patronising (always a risk), well done, and keep it up. (And here’s to another inspiring Tour de France (and Giro d’Italia) in 2013!) And whether implicitly or explicitly, keep challenging the conventions and comfort zones of those around you (some of them probably sense they have a revolutionary in their midst, which is why they might find you a little discomforting ;-)). And thanks very much for your feedback on my work; it’s always great to get. I’m also very late to comment and am also reading this series backwards, having just discovered it! Rosalind, your comment really resonated with me as I think it could be a sign of how un-accepted cycling still is as a mode of transport that well-meaning people often try to give me a lift in their car and if I don’t want it, I have to be very firm in insisting that I don’t. On occasion I have accepted lifts I didn’t really want for social reasons, like the children in one of the later cycling stories. The unspoken assumption is that the car is always the better option, and that the bike is always a necessity rather than a choice. In my experience walking seems to be more readily accepted as “normal”, though. My children are aged 4 and 2 and go to school and preschool about a mile away. Usually I walk there with the 4 year-old on his scooter and the 2-year old in his buggy but sometimes if I’m short of time or feeling lazy I take my bike with a trailer. While walking is seen as unremarkable, cycling almost always attracts a lot of (positive) comment along the lines of “Oh, you are *good*”, with the underlying assumption seeming to be that cycling is virtuous but difficult. I find this strange as on the scale of “goodness” I’d say that walking for that distance is better – it’s more exercise for me, and also for my 4-yo. It’s also more “difficult” in that it takes longer. 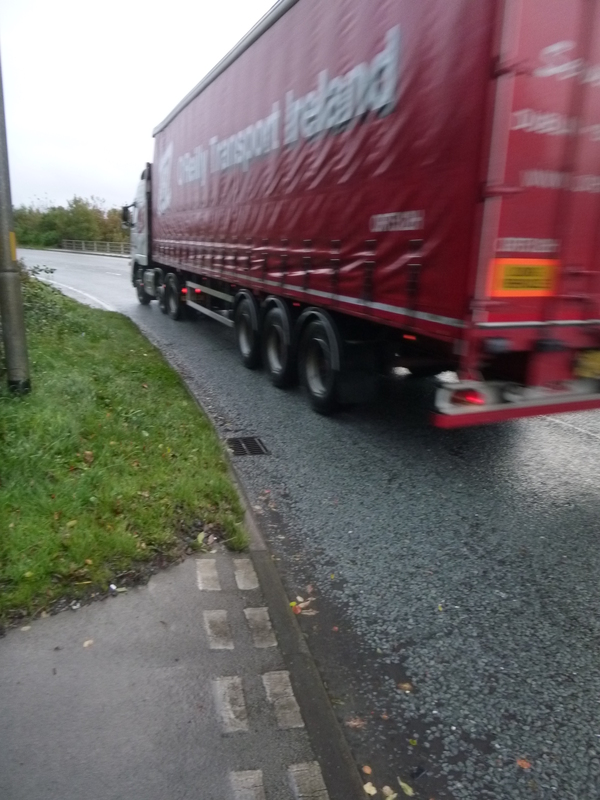 And the route I take is about 2/3 cycle path and 1/3 wide pavement – I’m not really happy with the trailer on busy roads – so it’s not as if I have to dodge the traffic. I’m finding this series really interesting – many thanks for posting it! Thanks for your reply – I laughed at your friend delaying you half-an-hour, that’s sod’s law isn’t it! 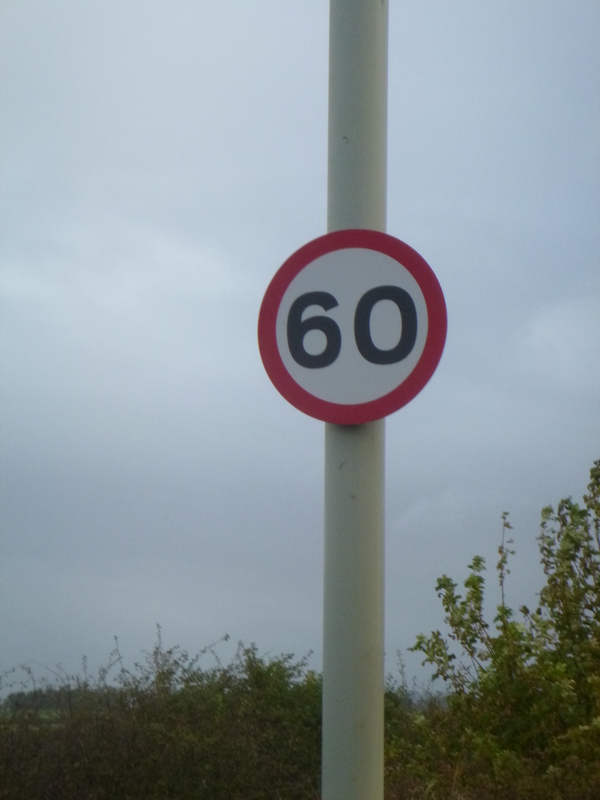 Your response gives me the opportunity to post an update – after just over a year of cycling (I’ve now turned 50), I think I’ve begun to normalise it in the village. To my surprise another local woman (a bit younger than me) has bought a road bike and is now cycling round the lanes, directly as a result of me talking about my experiences. (She did cycle a little bit before with her kids.) I also registered for “Cycle to Work Day” a couple of weeks ago, and their online widget told me that I was saving £1.98 car expenses, burning I can’t remember how many calories and saving a good amount of carbon on each commute, so I realised I’ve saved a substantial amount over the year. In addition I cycled through most of the winter (ironically the snowiest times when I didn’t cycle, I was actually away skiing), and I did not get one single cold all winter. Usually I get 2 or 3. I do think the “oh you are good” attitude is about what their own assumptions – ie they SHOULD be saving the planet, getting exercise, giving their kids exercise etc. Plus an assumption that you must be more organised to be able to cycle. That last thing is partly true of course as you have to work out timing and pumping tyres etc. Women are always ready to berate themselves for not being “good” though, which is a shame. You may find yourself changing their habits, though, just by example and by being really cool about it! Also, being pulled in a cycle trailer must be such fun for your kids – I bet their schoolmates would love a go! I think it’s fun to nudge people towards more fun/useful/healthy/intelligent ways of doing things, so I hope you end up influencing the local scene. Thanks Jenny and Rosalind, for sharing your experiences and thoughts – *really* interesting. Jenny, during fieldwork for the Understanding Walking and Cycling project we often came across the sense that if you have a car, then chauffeuring is a gift which you can give to others. This was strongest amongst the South Asian population we studied, but also clear elsewhere. Of course such an attitude serves to legitimise car ownership and use (and tends to render already dependent others more dependent on you still); so whilst there’s clearly a concerned and generous ethic in there somewhere, it’s also perhaps something which tends towards dis-empowering others? Personally, I find both your experiences inspiring. Of course, we need large-scale changes, but so long as it’s clear that people can change and do change the way they live their lives, then there’s obviously hope that – even if it’s one-by-one – we can make the world a better place. I’m reminded of Margaret Mead’s famous quote along the lines that we shouldn’t doubt that small groups of committed people can change the world; indeed, that it’s only such small groups who ever have! So who knows, if we all keep cycling, keep smiling, and keep influencing those around us, we might just get there (where?!) in the end!